The nose is full of ripe Cassis and Blueberry, a hint of pencil shavings and szechuan pepper lies underneath. 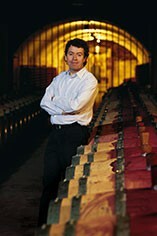 The palate is medium plus bodied , a finer and more classically structured Grange with great composition and poise. The mid palate is full of bramble fruit which leads gently into a finish of finely grained, integrated and savoury tannins and a cooling menthol acidity. 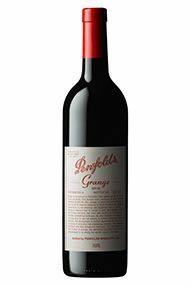 The Wine Advocate - The 2009 Grange Shiraz is a comprised of 84% Barossa, 8% McLaren, and a little Clare Valley and a little Magill fruit with a small 2% of Cabernet Sauvignon in the blend. At this youthful stage, this deep garnet-purple colored wine puts forward a vivid expression of blackberry preserve aromas amid underlying cassis, black cherry, spice box, char-grilled meat and chocolate box notes. Surprisingly medium to full-bodied (it smells much fuller!) with taut flavors that are very closed in the mouth, it has firm, chewy tannins to structure through the long and earthy finish. 406 cases imported to the US. Drink it 2018 to 2035+. Jancis - Inky core with blackcurrant rim. Gorgeously seductive perfume: sweetly spiced – Christmas spice - fruit with the sweetness of oak but all so well entwined. There's a hint of tar and savoury character. On the palate, creamy, vanilla, rich and so gentle and polite - or so it seems, though there is plenty of muscle underneath. 100% new oak. Lots of sweet US oak flavour on the finish. Sweet baking spice too and some liquorice. Vanilla sweetness. Concentrated and dry and pressed down even though it is so young. Opens up to lovely perfume again. More savoury on the nose than on the palate. Thick and deep. Coming back to it half an hour later: more savoury, somehow squashed on the palate. Tannins remarkably smooth. 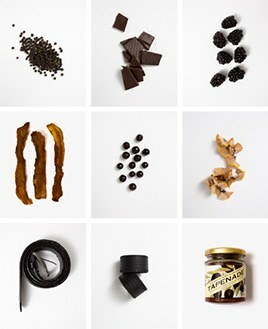 Chocolate all the way. Freshness and really great length.